All browsers let you go incognito when you want to prevent leaving virtual footprints. Say you find yourself using the Web on a strange computer—maybe one owned by a relative or friend, or in a library or school. When using a computer or other device that you don’t control, you can enable a private-browsing mode to prevent leaving traces of your activities. That’s good for accidental security, as it keeps the next user of the device from visiting a site with your credentials, set in a cookie or via a login, when they didn’t intend to. This an even better idea for shared computers where the subsequent user is someone you don’t know. Likewise, you can set someone else up with private browsing on your Mac, so that they don’t have access to your settings (guest mode in Chrome) or can’t change your settings (all modes), although browsers don’t let you “lock” a browser into that mode. You get better protection by setting up a different user account on a desktop Mac or using the guest account option described next. Each browser’s privacy mode is a little different, so I’ll go through what kinds of data each destroys after a session and how to drop into the mode in each browser. As a general rule, while browsers in a private mode don’t keep a list of downloaded files, those files do persist on your drive after a browsing session is over. 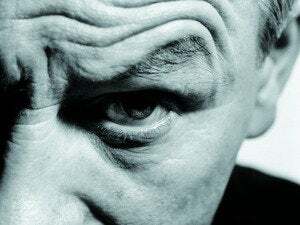 Private browsing doesn’t precisely help with anonymity, or keeping your identity difficult to determine for a website on the other end or another party able to snoop your actions at some distant end point. 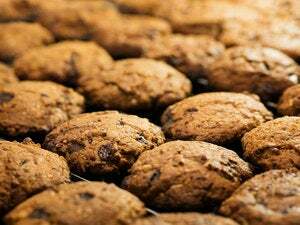 It can, however, prevent sites from effectively depositing tracking cookies and other nasty elements, because when the private browsing session is over, everything associated that’s cached is supposed to be dumped. In macOS, the best path of action is to log in as a guest user before using a Web browser. This special kind of account let someone hand their computer over to you (or vice versa) without needing providing any access to their own stuff. When you log in as guest, macOS creates a temporary account with its own settings. When the guest logs out, the entire account’s data get destroyed, which is an effective way to ensure privacy. Visit the Users & Groups system preference pane, click the lock, enter credentials for an administrative account, and click Guest User in the list on the left. Then make sure Allow Guests to Log in to This Computer is checked. 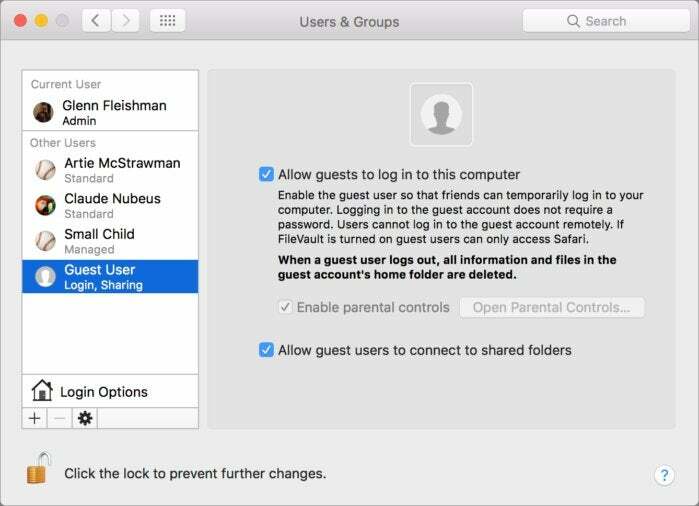 The Guest user in macOS lets you provide limited access to someone and deletes all associated data when that user logs out. 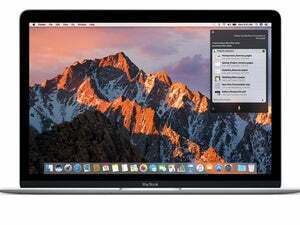 To get more access, the Mac’s owner could set up an account managed with Parental Controls. Parental Controls can be configured for another account from any administrative account via its preference pane. A managed account can be limited to running specific apps and either allowed to browse any website, barred from those deemed to be “adult,” or restricted to a limited set. You can be sure no data is left behind in a macOS account by deleting it after use. If you’re concerned about leaving a managed account set up after its use, macOS lets you delete the account’s files via Users & Groups. Click the lock icon and enter an administrative password, and then select an account and click the minus (-) sign. 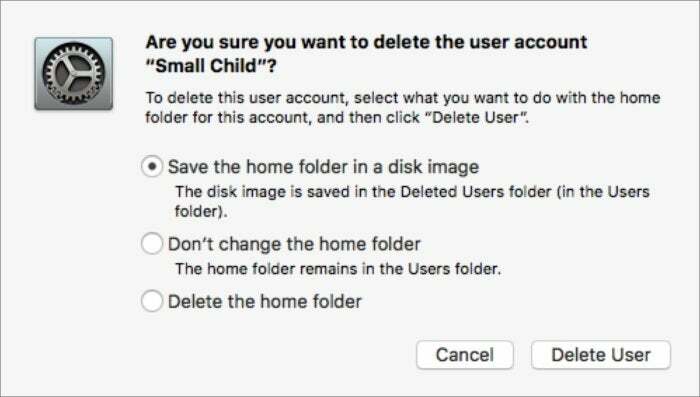 When prompted with “Are you sure…” opt for Delete the Home Folder and click Delete User. Apple isolates what it calls Private Browsing tabs from your regular browsing and from each other. Each tab can’t read information from other tabs. Apple doesn’t record autofill information entered or the pages you visit in a private browsing window. It prevents information leakage within the browser and through sync, too. It doesn’t pass pages through iCloud, so they don’t appear on other devices’ lists of open tabs, and Handoff doesn’t pass the open tab. Searches aren’t retained, and downloads in macOS aren’t shown in the Downloads list. Turn to Safari for private browsing in iOS, but beware: tabs remain open when you exit the mode unless you close them one by one. Safari for macOS also blocks reading browser cookies from your regular session and doesn’t store new ones after you close all private windows. Private browsing also blocks websites from using local storage options available via HTML5. Apple’s detail about what happens in iOS is surprisingly thin. 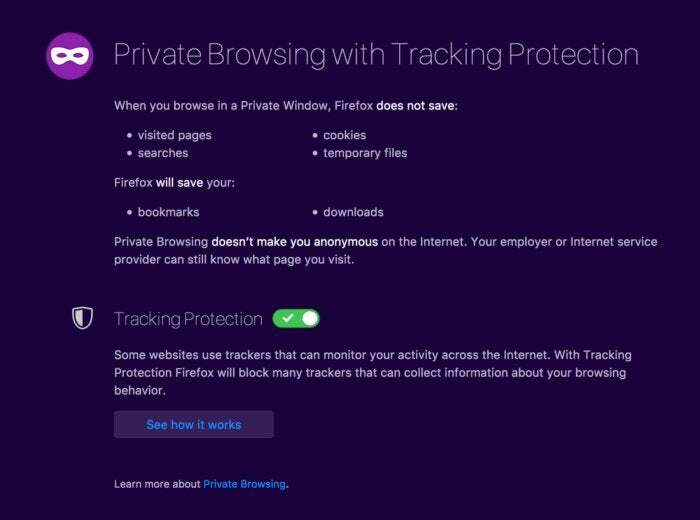 On its support site, the company notes, “Private Browsing protects your private information and blocks some websites from tracking your search behavior. Safari won’t remember the pages you visit, your search history, or your AutoFill information.” It would be nice for iOS details to have the same specificity as those provided for macOS, although in testing, they appear to be effectively the same. In macOS, you create a Private Browsing window in Safari via File > New Private Window (Command-Shift-N). The new window and any subsequent private tabs you create have a dark background in the URL/search field at the top. Exiting private browser mode is a tab-by-tab operation; you can close an individual tab or a window full of private tabs. In iOS, you tap the windows view button (which looks like two overlapping square) or, in some views, like iPhone landscape mode, you can pinch to get that view to appear. Tap the Private button, and it engages Private Browsing Mode. All tabs you open while in this mode are subject to the same privacy rules. Tap the Private button again to exit that browsing mode. 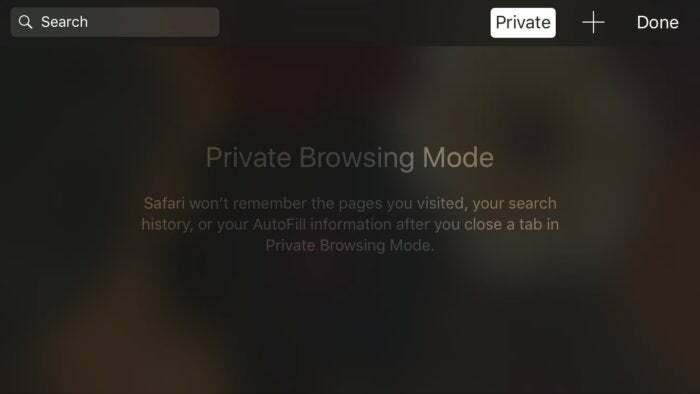 With iOS, you can’t merely exit the mode to destroy private browsing tabs. Instead, you have to bring up the windows view and close each tab one at a time. Otherwise, when you resume private browsing, the same tabs appear that you left open in your last private session. 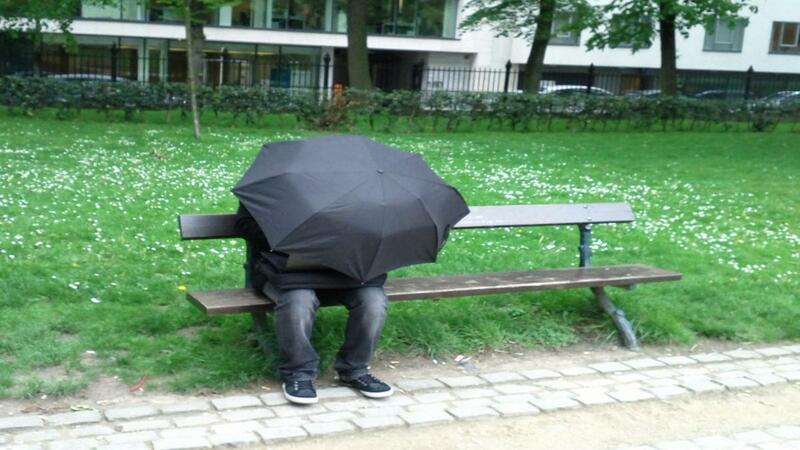 Chrome offers both a guest mode and a private-browsing mode it calls Incognito. From the standpoint of the person who owns the Mac and is loaning it, guest mode is better, because it keeps your bookmarks and other data private. Chrome’s mobile apps have Incognito mode too, but not guest mode. For both kinds of private browsing, Chrome doesn’t store browser history information, which includes URLs, text on the page, and the IP address of pages that are linked from websites you visit—Chrome engages in some look-ahead prefetching and other behavior in normal operation to speed up browsing. It also omits snaphots of pages you visit, doesn’t share existing cookies, and it deletes any cookies it receives when you close all guest windows or Incognito windows. To browse as a guest, click the name in the upper-right corner of a Chrome window, and then choose Guest from the list. Guest windows don’t pull in any information from existing Chrome profiles, like autofill or bookmark data. To browse Incognito, select New > New Incognito Window (Command-Shift-N). Saved passwords and suggestions based on browsing history will still appear. Close all tabs or the entire Incognito or guest window to exit and dump data that’s temporarily retained. Firefox’s Private Browsing has the best disclosures about precisely what it does and doesn’t retain. It omits adding visited pages anywhere, doesn’t store values entered in form fields, ignores newly entered passwords, won’t update file-download lists, and only retains cookies for the duration of the session. It also doesn’t store cached files or other data after the session ends. This mode does let the user create new bookmarks, however. Firefox’s Private Browsing mode has a crisp list of what’s excluded from permanent storage. To create a Private Browsing window, select New > New Private Window (Command-Shift-P). Using guest accounts and private browsing helps you prevent your surfing and your settings from commingling with others’ on computers or iPads you might use in passing, while also helping to ensure that someone else can’t scan back to see what you were up to later or access your accounts. In a future column, I’ll look into anonymous browsing, which helps deter other people from discerning your actions from afar.